Older roofing shingles typically have a lifespan of 15 to 30 years depending on the quality of the original roof installation, type of shingle, and location of your home. Though many shingle manufacturers now offer a lifetime warranty, this may not have been the case when your roof was installed. If your roof has any of these warning signs, give Roofing Renovations a call (615.556.0457) to schedule your free, no obligation roof inspection today. Roof damage may not be visible to the untrained eye when standing on the ground, and catching it early may prevent future expensive interior repairs to your home. What is the process of getting my roof replaced or repaired? STEP ONE: Free, no obligation roof and home exterior inspection. STEP TWO: If you are only in need of a small repair, the work will be done at your earliest convenience. If you need to make an insurance claim, we will help you submit the claim and meet with your insurance company to discuss roof and/or exterior damage. STEP THREE: Next, we will select the materials to be used on your home. By looking at sample boards and other homes with work completed by Roofing Renovations, we will help you make the best, most informed decision for your selections. STEP FOUR: One to two days before your roof repair or replacement, the materials will be delivered to your home at the site of your choice. STEP FIVE: Roof and/or exterior repairs will be completed and all debris will be removed from your home. STEP SIX: We will perform a final inspection of completed work to guarantee your 100% satisfaction. Your warranty will be issued once the final payment has been received. 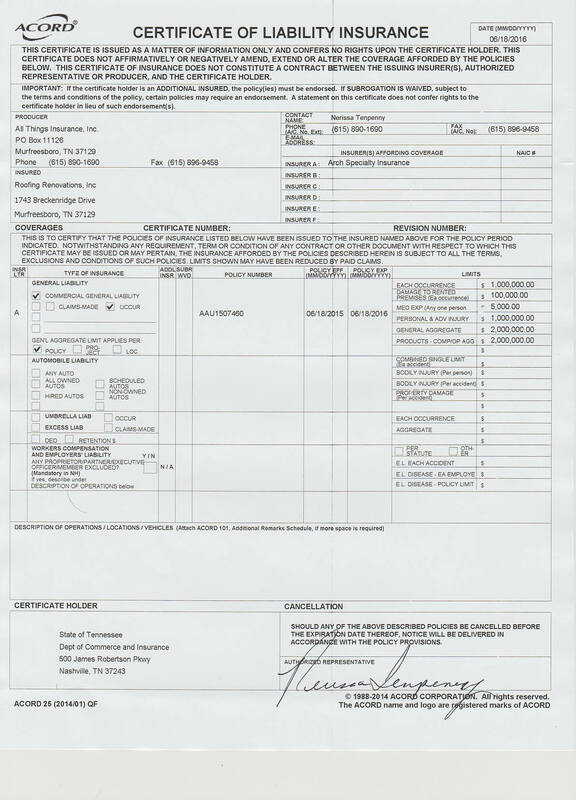 Do not select a roofing contractor based on cost alone! Although price is an important component of youR decision, it is not the only factor to consider when choosing your roofing contractor. Workmanship, customer service, and quality roofing materials have enormous value. Hiring the cheapest roofing contractor could end up costing you more in the long run when taking into account the potential costs of repairing sub-standard roofing and damage done to your home. 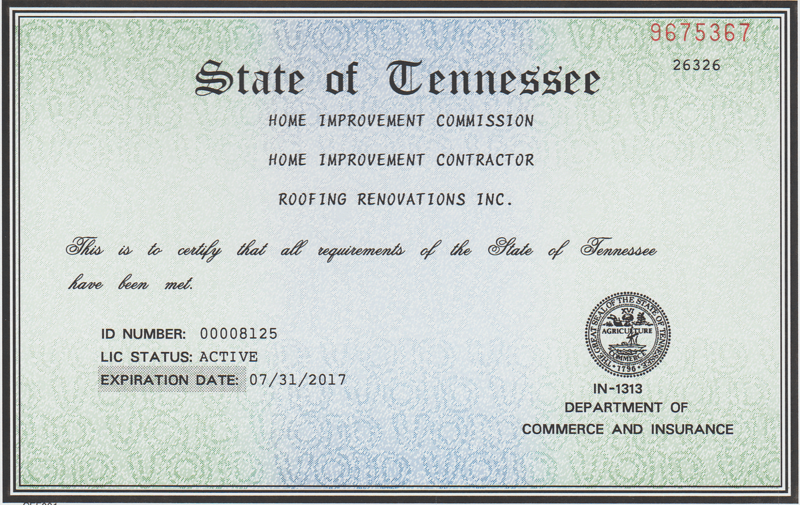 Call Roofing Renovations (615.556.0457) today for a free, no obligation estimate. We offer flexible payment plans and will work with your financial situation. Roofing Renovations typically takes only one to two days to complete a full roof replacement depending on the size of the roof, hidden damage, removal of old shingles, weather, and other variables. What do I need to do to prepare my home for my roofing project? 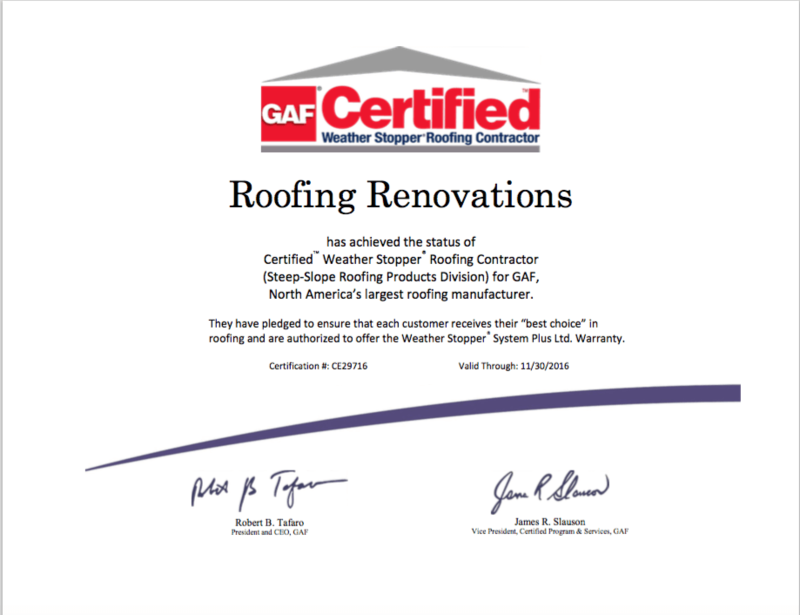 Congratulations – you have finally decided it is time for a new roof! Unfortunately, for the next few days, your home will be a little hectic, messy, and loud. Although we will do our best to protect your home exterior and landscaping, as well as clean up roofing debris at the conclusion of your home improvement project, there are a few things you can do to help ensure construction goes as smooth as possible. Move things like potted plants, patio furniture, grills, lawn ornaments, and other outdoor items that could be damaged by falling debris. Typically, we recommend moving items at least 20 feet away from your home while roofers are working. Cover your pool and hot tub to keep roofing debris out. Park your cars, motorcycles, and boats on the street to provide the roofers access to your driveway and prevent roofing debris from falling on your vehicles. Children and pets do not belong on a construction site. For their safety, make sure they are not nearby to prevent them from stepping on old nails or being harmed by other dangers on the job site. Cover any items in your home that you want to protect from dust falling from the ceiling. Remove any chandeliers, paintings, mirrors, and any other valuable objects hanging on the walls or ceilings to prevent them from falling and shattering during construction. 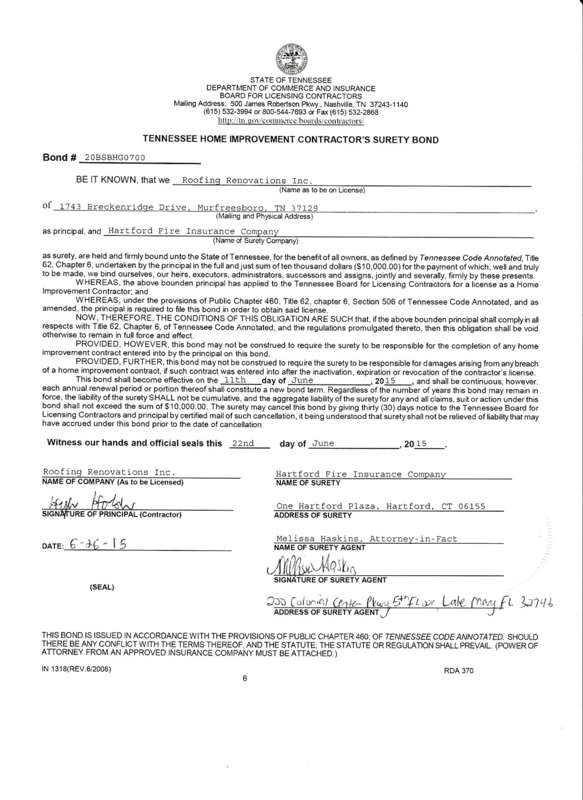 Is Roofing Renovations licensed, bonded, and insured?